The 52nd Annual New York Film Festival, which runs from September 26 to October 12, has released a trailer featuring some of the films in their lineup, which includes the first footage from Inherent Vice, along with the festival's opening and closing movies, Gone Girl and Birdman. 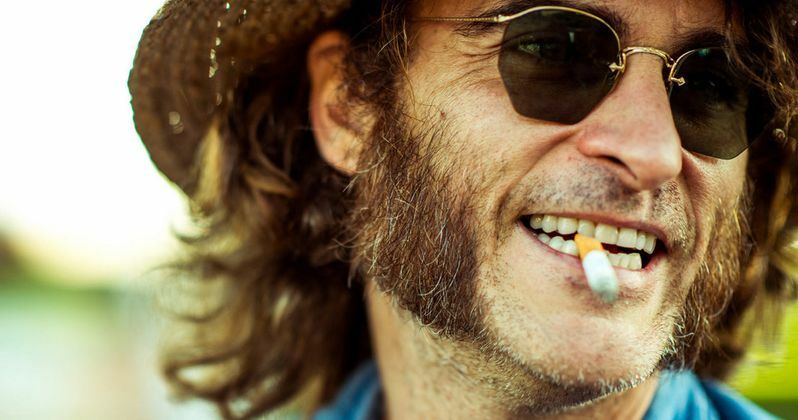 Joaquin Phoenix, Reese Witherspoon and Owen Wilson lead an all-star cast in Paul Thomas Anderson's adaptation of Inherent Vice, author Thomas Pynchon's first novel ever to be adapted for the big screen. The story follows a private detective who is pulled into an unusual case in 1960s Los Angeles. Check out the trailer below, which also offers footage from Mr. Turner, Foxcatcher, Maps to the Stars, Clouds of Sils Maria, Listen Up Philip, Pasolini and many more.